In May 2005, the newest version of Adobe software will hit the market. One of the biggest changes to these upgrades is the replacement of the old File Browser feature with a new stand-alone application called the Adobe Bridge. The Adobe Bridge is included with the latest upgrades of PhotoshopR CS2, IllustratorR CS2, InDesignR CS2, GoLiveR CS2 and Creative Suite 2. So why did Adobe remove the old, familiar File Browser from these programs and replace it with an independent, stand-alone application? Integration between Adobe programs is the answer! With the new Adobe Bridge application you can browse or search through the files on your computer, find the file you need and then open that file into Photoshop, Illustrator, InDesign or GoLive. You can also open a PDF file and a QuickTime Movie from Adobe Bridge. 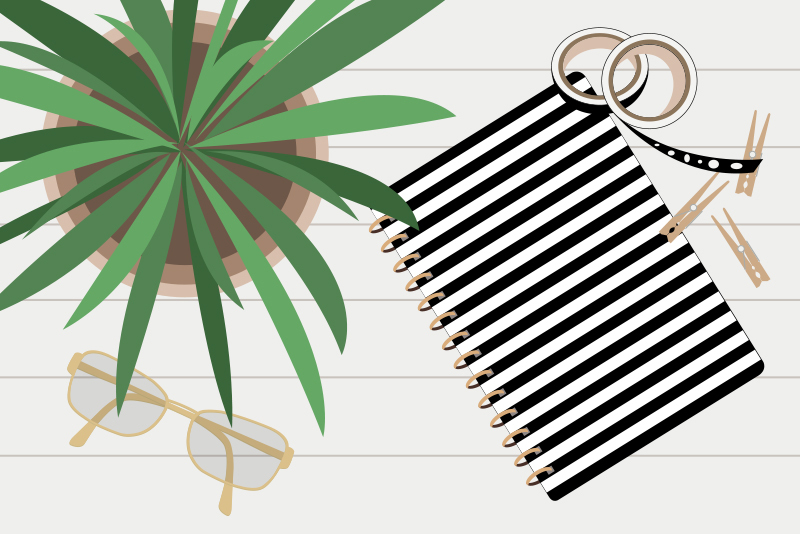 If you are already working within one of the supporting programs mentioned, you can start the Adobe Bridge application from within that program by simply clicking an icon; making it easy to move seamlessly from one program to the other. There are several improvements in the user interface; called the Bridge Center (view larger image). The first is to the familiar thumbnail viewing mode which has been improved from the old Photoshop File Browser. Now the user can use a slider bar to customize the size of the thumbnail preview and therefore is no longer limited to just a few preset thumbnail sizes. Another improvement is a filmstrip display which works much like a slide show to preview your images. You can limit the number of images you wish to preview in the slide show by using the new built-in rating feature which allows you to assign a rating of 1 to 5 stars to your images. Then you can effortlessly "weed out" the images you do not wish to preview by limiting the slide show to images with a certain rating. 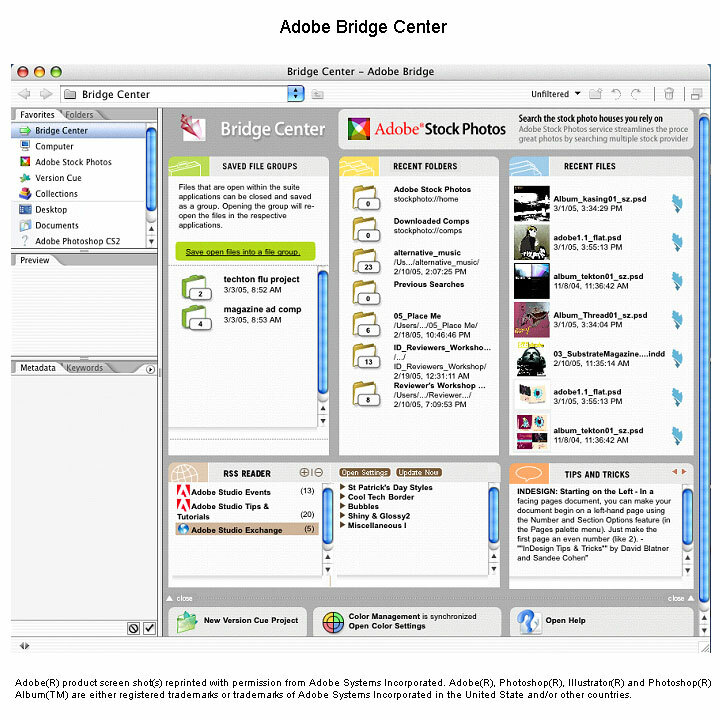 From the Bridge Center user interface, you can also view Adobe's online database of over 230,000 royalty free images (Adobe Stock Photos), access tips and techniques and use the built-in RSS Reader to view news feeds.